PCS is lucky to have such a great location. Our current modern school building is central to downtown and in the heart of the city. The current building that we inhabit was finished in 2007. The building was designed to be completed in multiple phases as the demand calls for them and when the financial resources are in place. Currently we have completed phase 1. Phase I (completed) provides administration offices, a staff room, and classrooms for the school. Phase II will be the construction of the multi-purpose room/gymnasium, the library, and more classrooms. 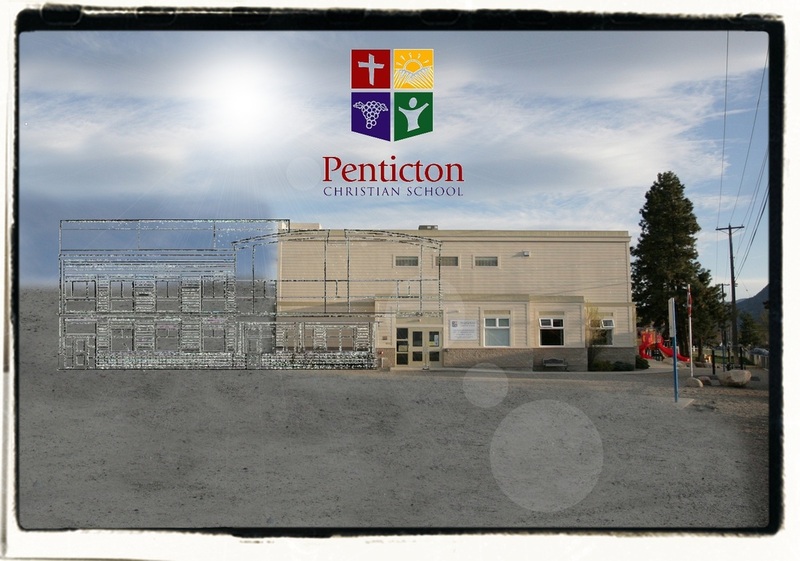 Phase III will provide again for more classrooms and the current church building will be demolished. The final floor area of the building will be about 25,000 square feet. Sports fields are available within a block, and fenced play areas surround the school. There are so many ways that our community is able to help us bring this second phase into reality! The PCS Development Committee is available to discuss the expansion with anyone who feels called to help or may be in a position to volunteer time, talent or materials.